Kim Kardashian receives an envelope with a cheque of $1 Million as a gift on mother’s day from spouse Kayne West. Reality star received super expensive GIFT from her partner Kanye West. No, it’s not a mother’s day gift but she did receive it on Mother’s day, a flower – ok, and, an envelope with a million dollar cheque in it. 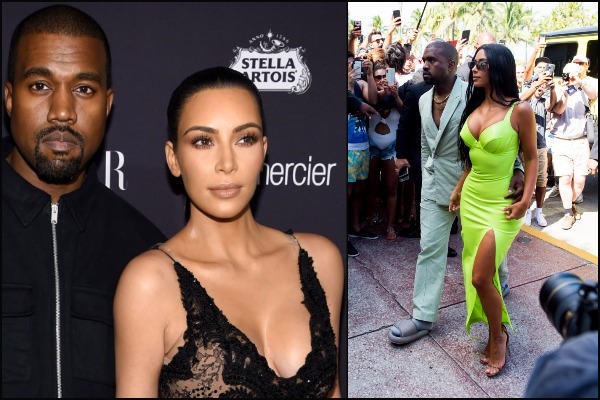 Any normal couple would be happy if there spouse get them a bunch of flower or chocolate as a surprise, but rapper Kanye West knows that Kim Kardashian is not an easy woman to please. Well, let’s stop nagging and the truth is Kim Kardashian did some favor or say she did take some advice from her husband Kanye and put down a million dollar endorsement deal for a clothing brand. It seems Kim was reportedly offered a million dollar deal from a fashion brand and Kim had to endorse this clothing brand on her Instagram account which has million fans followers. Kim Kardashian revealed this on model Ashley Graham’s new podcast, Pretty Big Deal. Kim stated Kanye’s disapproval was ‘obvious’ as the brand(she didn’t name the brand) was copying his designs but it was also hard to say ‘no’ to such big money. After a week or so, Kanye surprised Kim Kardashian by sending flower and an envelope at her door. “Mother’s Day was, like, the next week. Mother’s Day comes and he happened to be recording out of town and I get my flowers and then I get an envelope delivered to the door. I opened the envelope and it was a million dollar cheque with a note saying thank you for always supporting me and not posting,” Kim said. Guys, when you stop your wife from shopping something, please make sure you get something nicer(not expensive) as a surprise to compensate that ‘no’.